It was the Portuguese Royalty who first used Estoril and Cascais as their summer residence, building palaces and luxurious villas, turning the small fishing villages into fashionable seaside towns. If it was good enough for the King, then it’s no surprise that the coastlines popularity rose significantly during WWII when Europe’s elite, country heads and diplomats sought refuge from the misery of the war. While most of Europe sought refuge in dark, dank bomb shelters, the wealthy found refuge on the golden shores of the Estoril coastline. 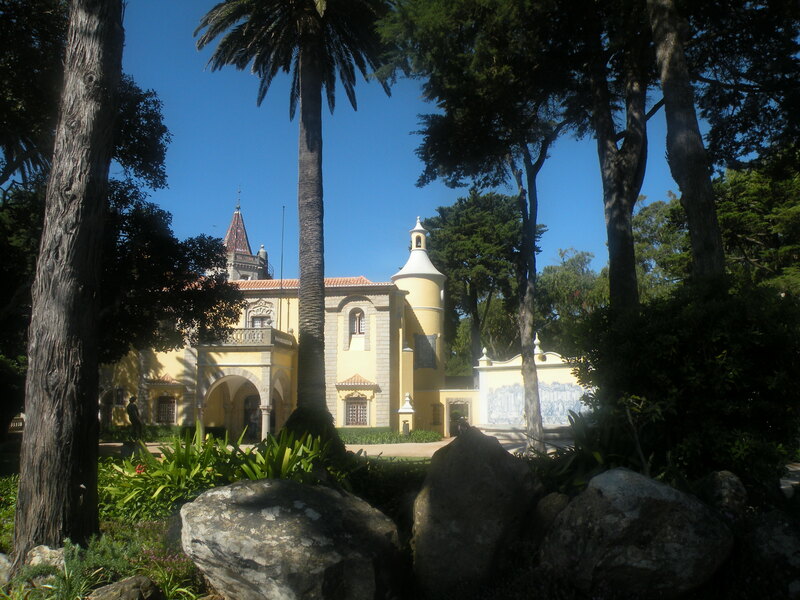 Lisbon was teeming with spies during this time and they spilled out to the coastal villages fuelling the cosmopolitan and sophisticated reputation of both Estoril and Cascais. 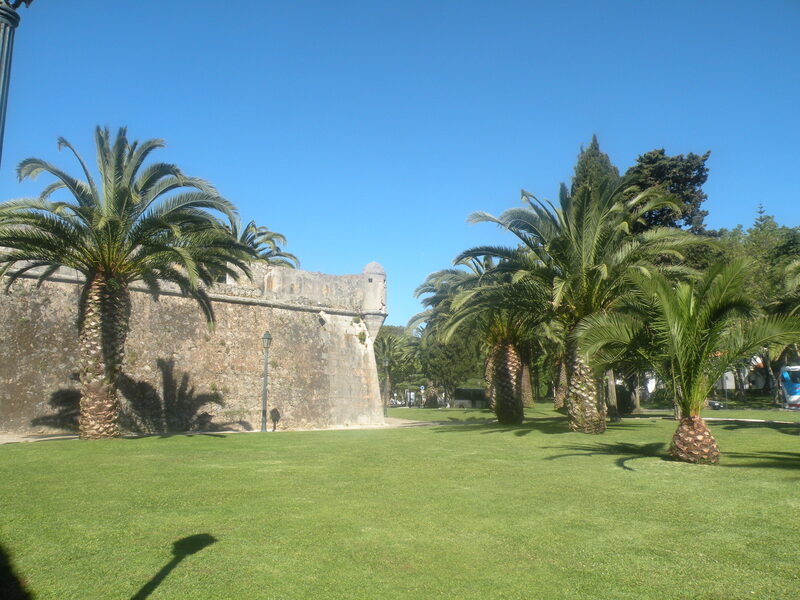 Nowadays, while void of royalty and spies, the wealth and history of the past remains visible in the lovely Cascais. Modern blocks sit on the fringes of the town, but the heart of the town has managed to hold on to its aristocratic past; the cobbled, narrow streets climbing upwards away from the city hall, lined with small shops and cafes are interspersed with palaces and grand villas. The interesting thing about Cascais is that it’s not just another tourist town by the sea, it’s a town that wears its colourful past on its sleeve. An old fort stands guard, once built to protect the caravels laden with produce arriving into Lisbon, from the pirates that prowled the coastline. Now a hotel, it overlooks the marina which is brimming over with fancy yachts, little bars and restaurants, a favourite haunt of holidaymakers during the summer months. Cascais manages to blend the old and new without losing its past and while not a typical beach resort, it’s the perfect spot for sunshine, beach and exploration. 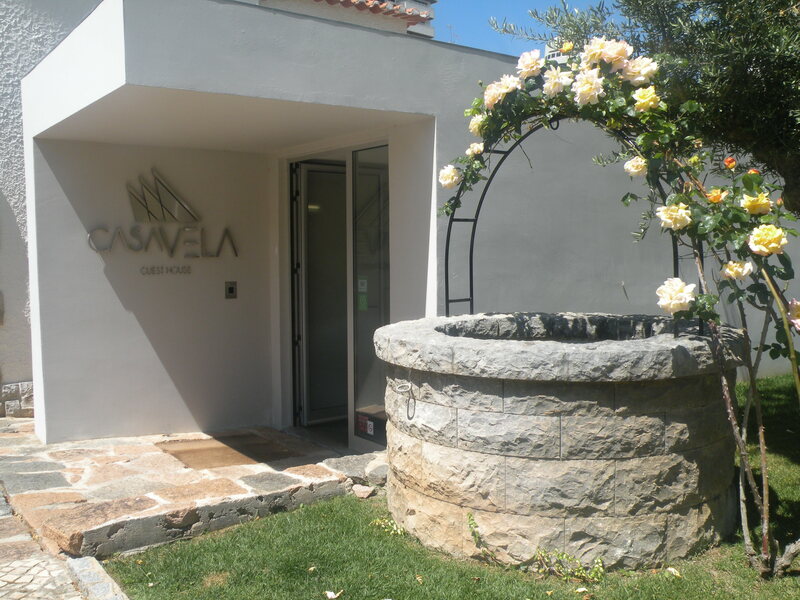 My home for the few days was the charming Casa Vela Guest House, tucked behind the old part of Cascais within a residential area made up of elegant villas and houses. The beautifully converted villa has 15 rooms, each individually decorated with taste and thought for every detail. The communal living room is stocked with magazines and books and an honesty bar is housed in an oak dresser, filled with tempting drinks and snacks. The garden has a pool and is dotted with lounge chairs, shaded by trees and the only sound is the trickle of a waterfall and the song of the birds. I spend so much time in hotels that it’s a treat to find somewhere like Casa Vela, quirky and beautiful, a real oasis from the bustling streets of Cascais. 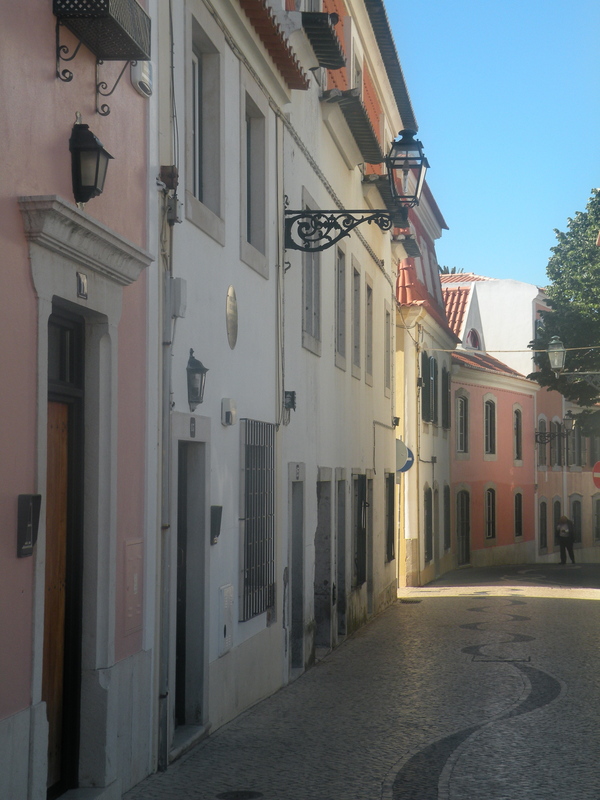 I took to the streets of Cascais, weaving through the small lane-ways, distracted by the countless boutiques and cafes. 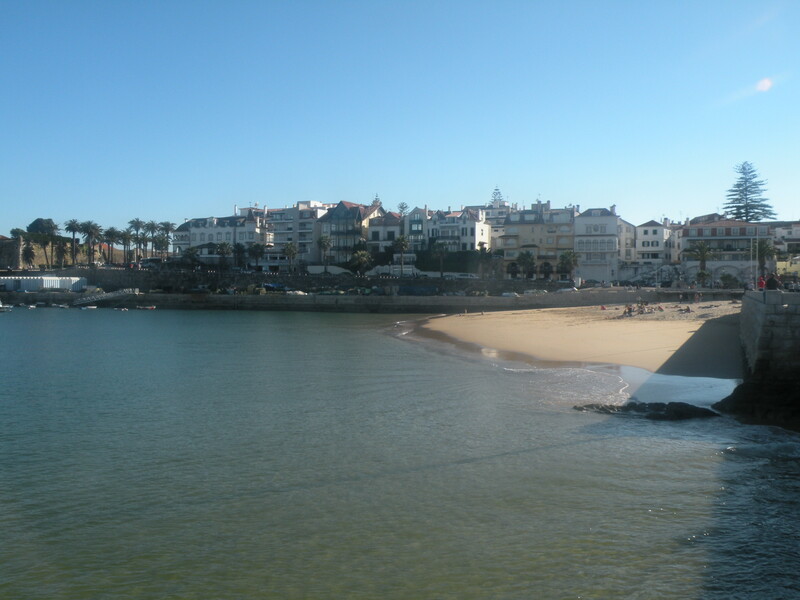 I was in search of the esplanade I’d been told about, that runs the 2kms from Cascais and Estoril. 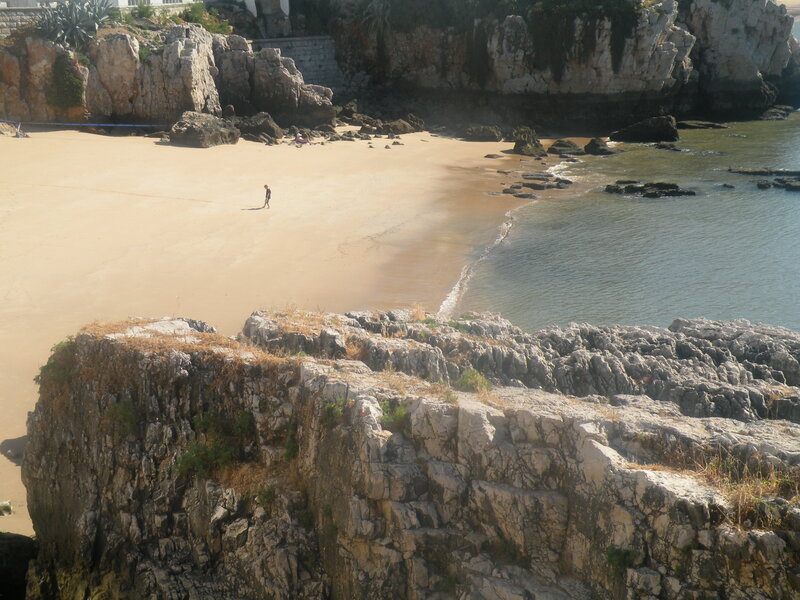 It starts just after the lovely Praia da Rainha, once the beach of the Queen and her entourage. I was clearly not the only one in need of a walk. Hundreds of holidaymakers strolled along the esplanade gorging on ice-creams, while locals walked their dogs and sat in cafes watching the world go by. Novice surfers practiced their stances on Tamariz and Azarujinha Beach, while kayakers out on the horizon, watched us all from a distance. In contrast, on the other side of the town, as I passed the fort, through the marina and onto the path out of town, the crowds dispersed. Hidden in a small inlet, an elaborate and almost Gothic style palace caught my eye. They say the Irish get everywhere and it seems one in particular found his way to Cascais. 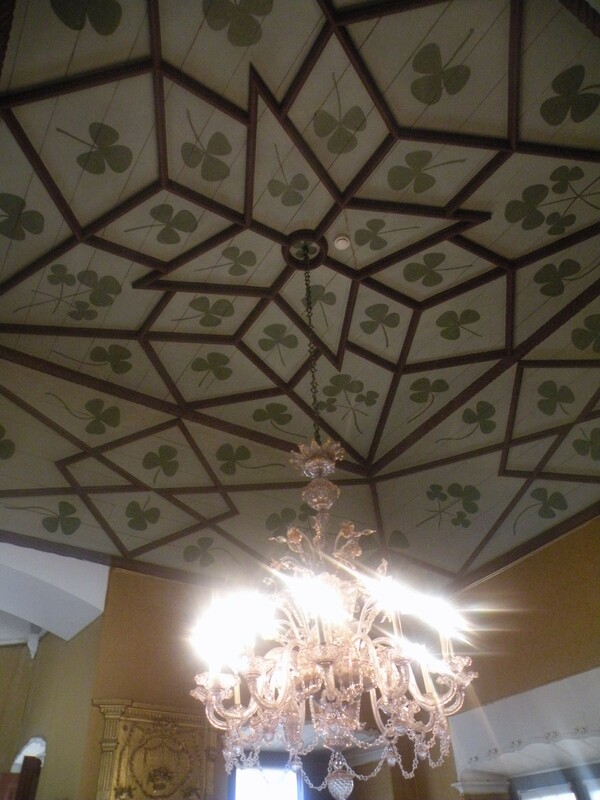 I was surprised to discover that the villa once belonged to a Jorge O’Neill, an Irish aristocrat. The villa is fabulous and ornate, replete with an African cloister, the walls lined with pretty tiles and its interior a warren of rooms; grand living rooms, a reading and music room and an impressive arms room. From here, I walked along the coast for a couple of kilometres, pausing at Baco de Inferno where I’d been told to have a bite to eat. A queue snaking through the car park told me I’d be going hungry, so I pushed on along the coast. My destination was not Casa da Guia, a converted villa perched at the edge of a cliff, now housing boutiques, jewellery shops and several eateries, but rather a small little stall in from of the villa, where I’d been told I could pick up a bicycle. All you need is a form of ID and the bicycle is free of charge. 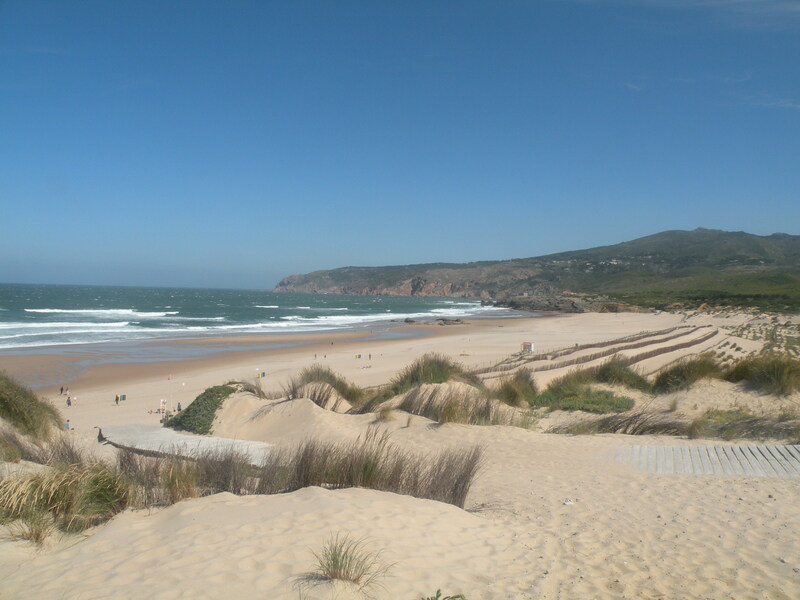 After five minutes, I was whizzing along the coastal cycle path, all the way to the wind-swept Guincho beach. Away from the shelter of the bay, the wind sweeps along the path making the cycle a challenge at times, but the stunning views and relatively flat path make it a most enjoyable trip. At the end of the path, you’re rewarded with views across the stunning Guincho Bay, surfers and windsurfers battling the angry waves. The beach is host to the Windsurfing World Championships and surf competitions, so most who dare to enter the sea are experienced. The more adventurous continued up the road, into the mountain to Cabo da Roca, the most westerly point in Europe. Here, the wind howls and tourists gather to marvel at the spectacular cliff-views. However, I was happy with a cup of coffee in the shelter of the lovely Fortaleza do Guincho, a converted fort, with views out to sea. With the knowledge that the wind would sweep me back into town, I sat and enjoyed watching the surfers struggle against the waves and looked across to the blustery Cabo da Roca where I’d drive to the following day. But that’s another story for another day. Cascais has become an alternative to the Algarve for many, its all year round sea breeze making the summer temperatures more bearable, the selection of beaches and watersports satisfying those is search of a beach break. Seven golf courses, horse-riding facilities, a casino, grand-prix and plenitude of day trips offers holidaymakers a diverse holiday, combine that with the palaces, museums and history of Cascais and it’s a holiday to remember. Ice-cream at Santini’s – they’ve been serving ice-cream since 1949 and believe me, it’s worth the queue. Note: A post on day-trips above to follow. Note: I was hosted in Cascais by the Estoril Tourist Board. I do enjoy writing but it just seems like the first 10 to 15 minutes are usually lost just trying to figure out how to begin.